The 52nd annual edition of the Texas Legislative Conference is just a little more than five weeks away. 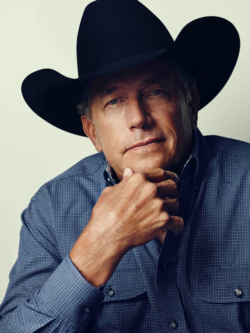 Country music legend and 2018 Texan of the Year George Strait will be present to speak and accept his award at the Friday, March 23 noon luncheon that closes out the conference. A conference reception will be held Thursday evening, March 22 from 7:00 to 8:00 pm in the Civic Convention Center. Attendees will enjoy an open bar, heavy hors d’oeuvre from Clear Springs Catering, and music. The Friday, March 23 half-day conference will kick off with a breakfast beginning around 7:30 a.m. and an opening session at 8:20 a.m. featuring a conference dedication to Bennie Bock and an opening address by Hurricane Harvey Recovery Chair John Sharp. Also included in the 40 minute opening session will be the bestowing of two scholarships to high school seniors in memory of former State Rep. and Conference Chair Edmund Kuempel. Following the opening session will be three consecutive one-hour panels including Hurricane Harvey Impacts on Texas, a Media Panel on the results of the Texas Primary, and Federal Tax Reform Impact on Texas. The noon luncheon will feature the Texan of the Year Ceremony with honoree George Strait. The Texas Legislative Conference is a ticketed event and has been sold out for over two months. A record 1,000 guests are expected to attend the Friday event.